'You gotta go low to get high!' The official poster for Harmony Korine's latest trashtasterpiece The Beach Bum has arrived. And it's a thing of beauty, wonder and awe. Korine is making his follow-up to 2013's cult hit Spring Breakers with The Beach Bum, and while it won't be an easy task, it looks like the acclaimed weirdo has truly topped himself this time. 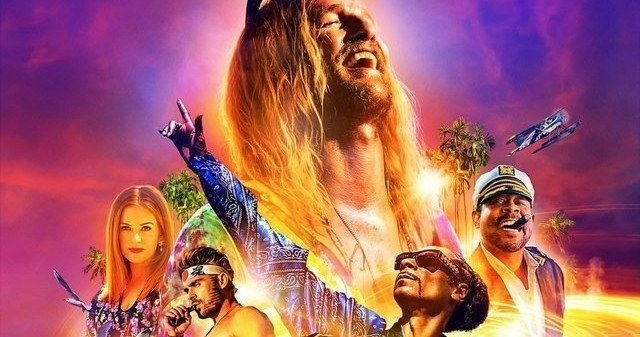 The Beach Bum stars Matthew McConaughey as Moondog, a degenerate stoner who lives life by the ocean, playing by his own random set of self-imposed rules. He is joined against the breathtaking orange and purple skyline of a setting sun on this poster by his righthand man Lingerie, played by iconic rapper-turned-actor Snoop Dogg. Martin Lawrence is also seen on the poster, making a rare screen appearance as Captain Wack. This is Lawrence's first big screen outing since Big Mommas: Like Father, Like Son back in 2011. It won't be his last, though, as he recently agreed to return for Bad Boys for Life, reuniting with Will Smith. Production is happening right now as we speak. This is only the sixth feature film for Harmony Korine, who broke into the business writing the screenplay for the controversial Larry Clark teen drama Kids. He would make his directorial debut with the true cult classic Gummo. He was relegated to the outskirts of the Hollywood indie scene, where he also directed Julian Donkey Boy and Mister Lonely. He followed those up with the art house disaster piece Trash Humpers in 2009. It wasn't until 2013 that he hit his stride with Spring Breakers, which was the most commercial movie of his oeuvre up to that point, with his cast of attractive talent that included James Franco and former Disney child stars Selena Gomez and Vanessa Hudgens. According to Harmony Korine, some theaters in Los Angeles will be showing the movie while 'spreading curls of marijuana smoke', but that hasn't actually been verified by any theater owners. And it definitely won't be happening at any major chains. Harmony originally wanted Gary Oldman for the role of Moondog, but the acclaimed actor turned it down. You can check out the type of wild party that is in store when The Beach Bum rolls into the local arthouse theater on a dank cloud of choke smoke. If the finished product is as pretty as this one-sheet, it will definitely be worth staring at for 90 minutes. Knowing Korine, this definitely won't be boring, whatever it turns out to be. This poster was first dropped on Reddit.